These adapters have an excellent hold, along with good protection of the blade. Used exclusively on excavators, this adapter wraps arond the lip with the longest leg on the bottom to provide support. Provides for an easy and quick change of teeth. 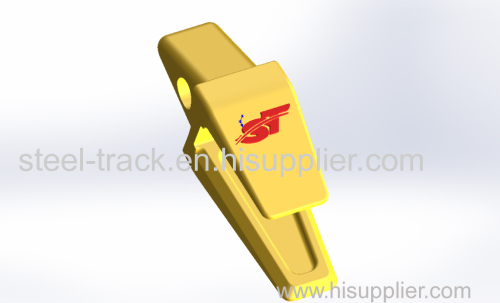 Steel Track company has more than 10 years experience in making track shoe and bucket teeth, even though the export company only has been founded 2 years. Our company is near by Ningbo Port. So it is convenient to ship products out. We also sell track links, cutting edge and other undercarriage parts, like idlers, carrier rollers and so on.